Pleo World is Ugobe�s official user community site for Pleo fans and owners to be. 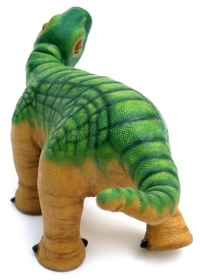 You can find forums where you can chat with other Pleo fans, get support for your Pleo, helpful FAQ documents (frequently asked questions), explanations of Pleo�s features, sensors, emotions, and more. In the future, it will also be your source for new downloadable sounds and behaviors for Pleo!